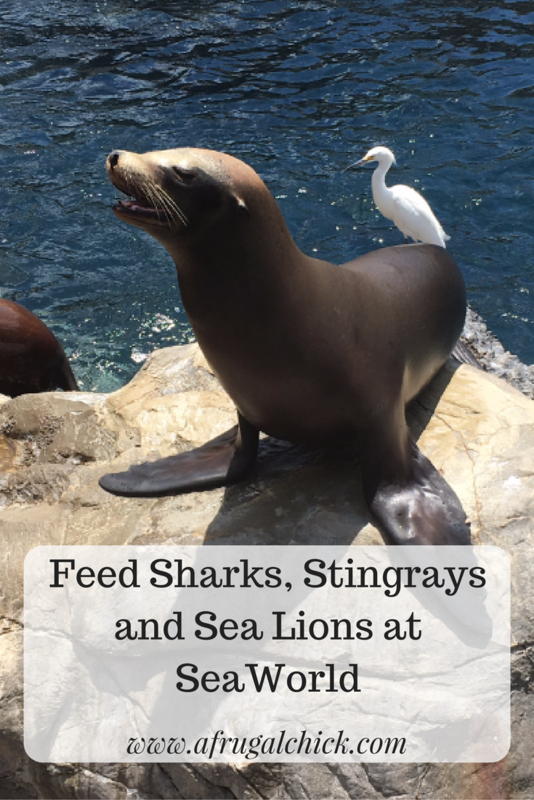 One of the highlights of our trip collecting SeaWorld Information was watching my mom feed sharks, stingrays and sea lions. 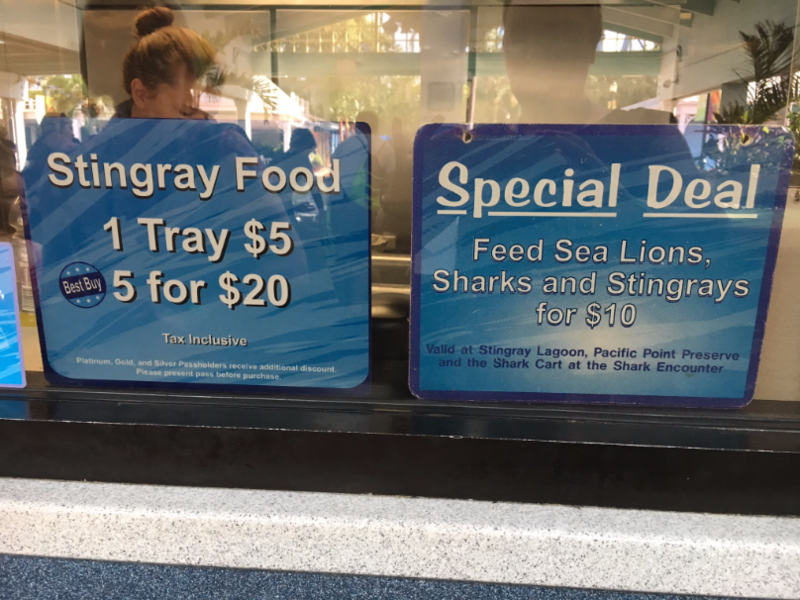 When we arrived at the park one of the first things was the Stingray Lagoon and Feeding area. My mom loves animals and there are few she hasn’t fed so $10 to feed all three types was a nice treat! They give you one of these cards to carry to all the different locations. When you pick up your food they punch the card (like you are getting free frozen yogurt or something). Each set of animals has specifically chosen food for their diet. 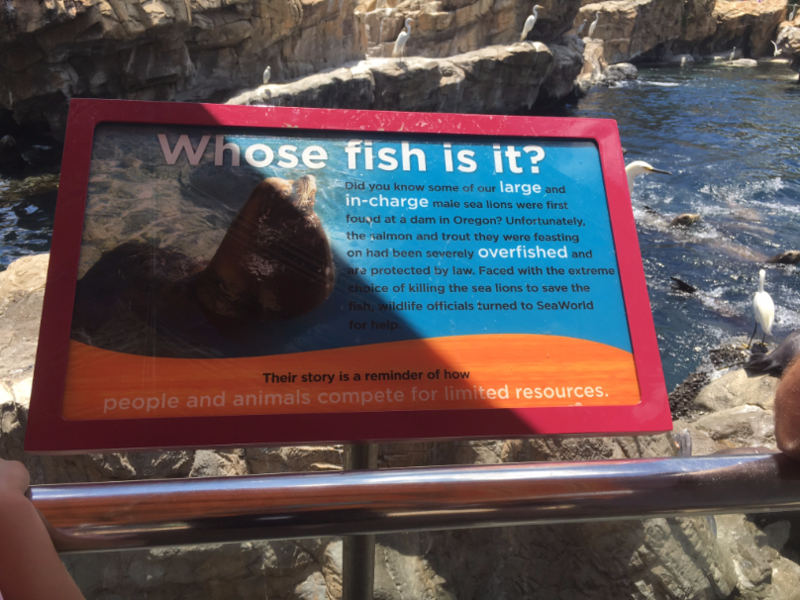 People are often concerned about where the animals at SeaWorld came from. At almost every exhibit signs addressed the issue. 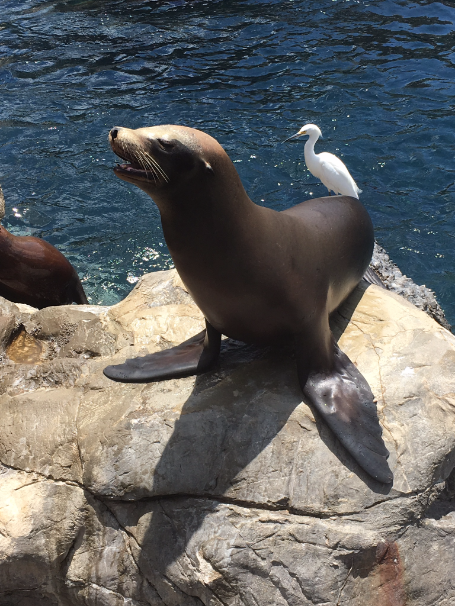 SeaWorld is basically a big educational experience. Most of the animals are there because of human involvement- whether the actual animal was injured or their food source (like these animals) was threatened. This is awesome to know!! 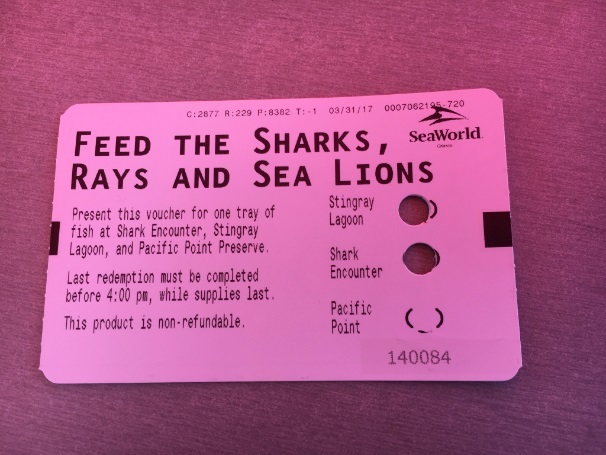 We went to SeaWorld Spring Break & this offer was not offered then!! Thanks! !